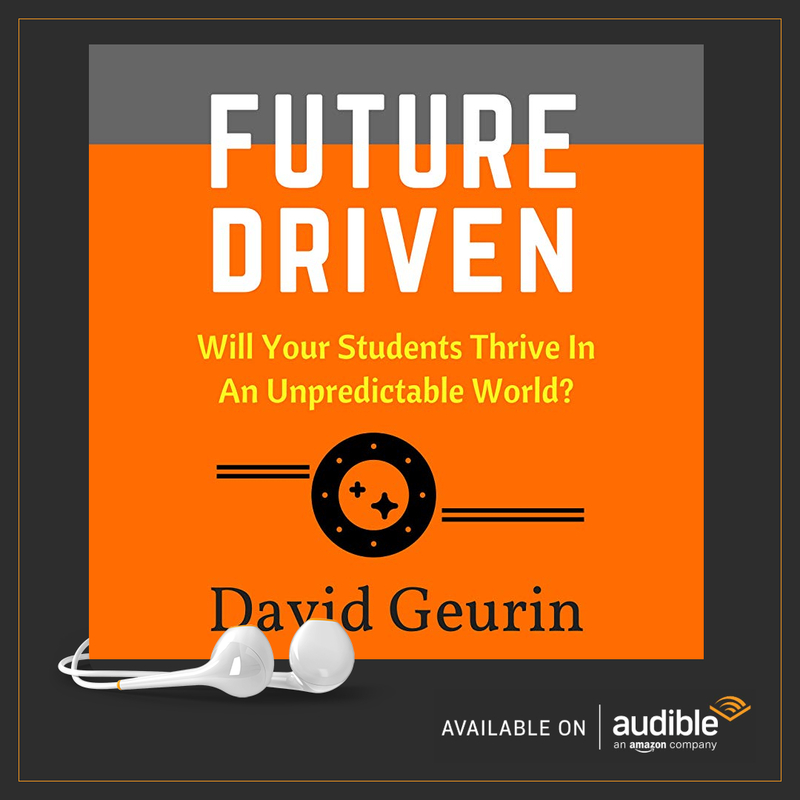 In writing my new book Future Driven, I shared many of the great things I see educators doing that are changing education for the better and helping to prepare students for the world they are facing. And we all know it's a challenging, complex world out there. In spite of the immense challenges, I remain very hopeful for the future. And I believe educators are making a huge difference every day to help kids be ready to thrive. But of course, there is plenty more work to be done. In this post, I share a list of things that are themes from my book. If you share these ideals, you're likely a future driven educator. 1. You are not satisfied with the status quo. You want to take action now to help create a better future. You believe the choices you make today are helping to create a better tomorrow for you and your students. You want to make a difference and add value to others. 2. You believe in the power of building strong relationships. You know everything rises and falls on the quality of relationships in your classroom in school. You seek to lift up others, bring people together, and connect in authentic, meaningful ways. And no matter how great you believe your relationships are, you are always striving to make them better. 3. Your methods are less important to you than your mission. 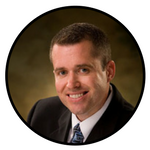 You are passionate about kids and learning. Your mission is bold and daring. You want to be a change maker. You want to make learning irresistible for kids. You don't hang on to practices because they work best for you. 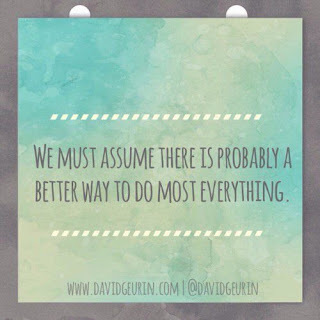 You explore new practices because they might work best for kids. 4. You want your students to learn more than content. You don't just develop great lessons. You develop great experiences. You want students to think deeply and develop perseverance, empathy, creativity, and curiosity. You want learning to connect to students' lives in authentic, meaningful ways. 5. You want your students to love learning more than they fear mistakes. You are willing to take risks and learn from mistakes and you encourage your students to do the same. You know learning is messy. Mistakes are part of the process, and perfectionism is often the enemy of progress. 6. You are mindful of changes in the world. We are in an era of accelerating change. The world in a complex, uncertain place. You know it's important for you to be aware of how these changes will impact your students' futures. 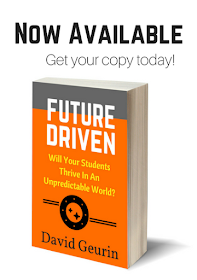 You chart the course for learning with the new realities of the world in mind. 7. Your students know you believe in them. When your students know you believe in them, it brings out the best in them. Your encouragement makes all the difference. The person who influences you the most is the person who believes in you. They will rise to your expectations. You see them for who they are becoming and not just who they are right now. You see a bright future for your students. 8. You have a long term perspective. 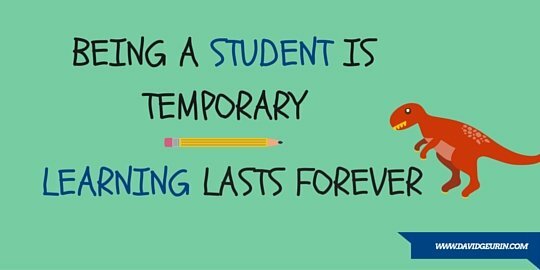 You do what's best for your students in the long run. You see your work as an investment in a brighter future and a better tomorrow. Some people hold onto the past and the good ole days. Others are only concerned with the pressing matters of today. But you see out into what could be and want to help make it happen. 9. You believe students should be more excited about learning tomorrow than they are today. 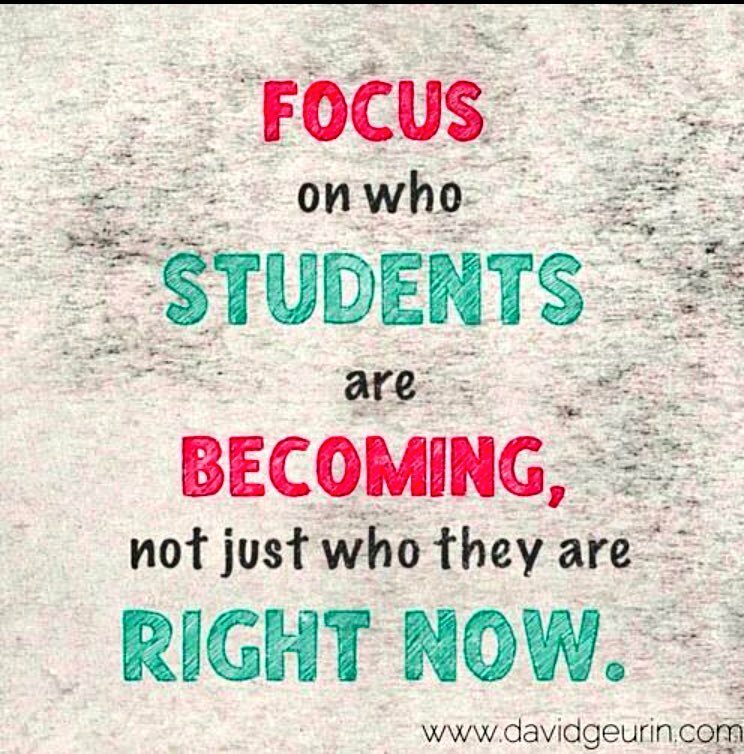 When students develop passion for learning, it doesn't just impact the here and now. A passionate, skilled learner is able to handle just about anything life throws at them. 10. You believe learning is for life and not just the next grade level. Being a student is temporary, but learning is for life. We are just getting students ready for a test, or college, or a career. We are preparing them for anything they might face. 11. You are always striving to grow and learn. You aren't waiting around for your school to 'develop' you. You take ownership for your own personal and professional growth. 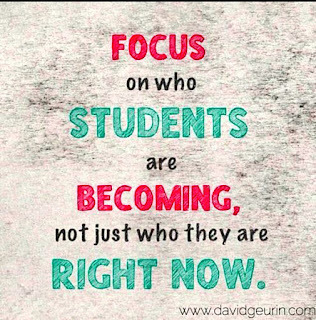 You want to keep getting better so your students can be better too. You know when teachers are growing, that's the best school improvement plan ever. 12. You want to inspire your students to create a brighter future and a better world. 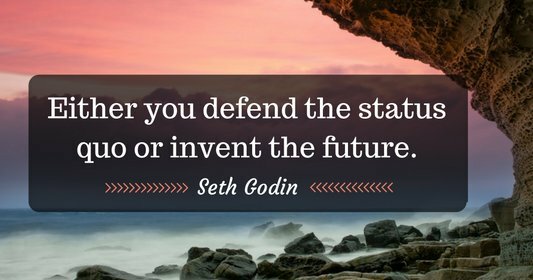 Your students aren't just ready for the future, they are ready to make a difference in the future. Pursuing truth, justice, and equality are essentials for you. 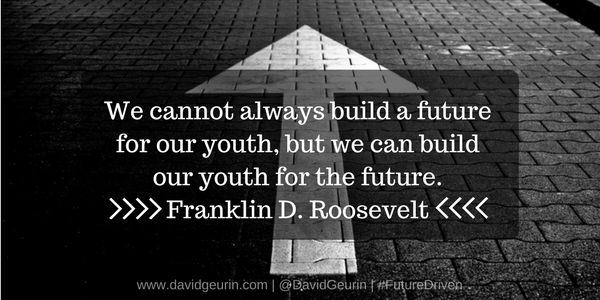 You are helping to create the future by inspiring your students to be world changers. 13. You believe your attitude sets the tone. You model the attitude and mindset you want to see in others. You are positive even when things are tough. You give of yourself to others without expecting anything in return. 14. 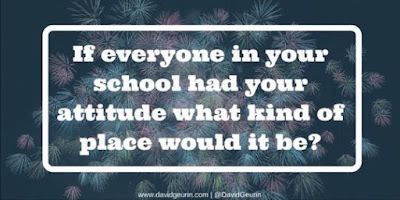 You want to connect with other educators. We are each other's best resources. We must be collectively awesome. You want to partner with others and work together to create better schools and unstoppable learning. Nothing's more powerful than a group of committed educators who believe they can solve any problem together. 15. You see yourself as a leader. When you see something that could be better or a need that could be met, you are willing to step forward and lead. You are the type of person others want to follow, not because you have a position or title, but because of the strength of your character. 16. You see yourself as a digital leader. You know that our world is increasingly digital and that seismic shifts are happening as a result of technological innovation. 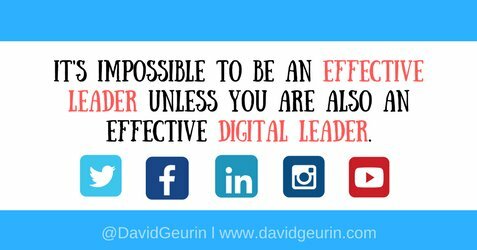 You want your students to know how to leverage their skills using digital tools. You want to model digital learning. 17. You value better thinking, not just right answers. You start with questions and look to push thinking deeper. You want your students to be adaptable learners and skilled critical thinkers. It's not just about getting a right answer. It's about learning to solve problems and create knowledge. What else is important to you as a future driven educator? Your voice matters. I want to hear from you. Leave a comment below or respond on Facebook or Twitter.